Esports data company DOJO Madness has formed a joint venture with sports data company Sportradar titled Bayes Esports Solutions. 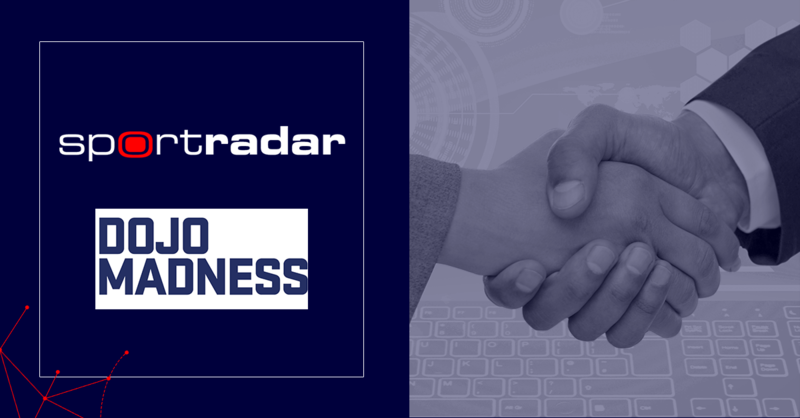 Sportradar and DOJO Madness originally partnered in 2017 to provide live-odds across esports, and this new venture will leverage “esports data products for business customers” including betting companies and esports broadcasters. Martin Dachselt, CTO at DOJO Madness & Managing Director of Bayes Esports Solutions discussed the venture: “With Bayes Esports Solution, we are now fully able to utilize our technology and esports experience to build innovative next level products for business needs in media, esports broadcast and betting. The successful cooperation we had with Sportradar in the past is now giving birth to a full joint venture between both companies merging the best experiences of both parties in a fully independent business entity. Bayes Esports Solutions will leverage data products, such as betting probabilities and statistics, to help provide a narrative on matches. Warren Murphy, Managing Director of Betting and Gaming at Sportradar added: “The Bayes Esports Solutions joint venture is a game changer for Sportradar in an exciting and growing part of the sports economy that undoubtedly presents massive opportunities. In bringing together Sportradar and DOJO Madness, we bring to bear the expertise of industry leaders like Jens (Hilgers) and Martin (Dachselt) and their DOJO Madness team with our industry leading sports data business. Esports Insider says: More and more companies are launching efforts to capitalise on the deep pool of data that’s available through esports, and Bayes Esports Solutions will definitely be one to watch. Esports data is criminally underused as a whole so this venture, if successful, could help to vastly improve the viewing experience and narrative opportunities. 4 recruits can claim to be 2019’s No. 1. Who’s really the best?